"C'est pas 'wrath' (fureur), c'est 'wreath' (couronne), Maman," suggère le Bu poliment... Voilà qui explique beaucoup de chose sur mes recherches Google pour trouver l’inspiration, parce que “La fureur de Noël," ça donne des résultats bizarres. "It’s not 'wrath,' it 'wreath,' Maman," said Le Bu. It’s been what, 14 years I’m here? I’m quite fluent in English really, but there’s some unfortunate moments of relapse. Like that time 10 years ago when I realized you don’t say “beer” and “bear” the same way. My son had a few months of "Goldilocks and the 3 beers" night time stories before a friend noticed. Sometimes I marvel at how well balanced is my son after such an education. Anyway. Today I wanted to make a new, updated version of a little wreath l designed a few years ago, a cute little découpage thing that my family loved. It stayed on the door until spring and would still be there if the moisture didn't destroy it. 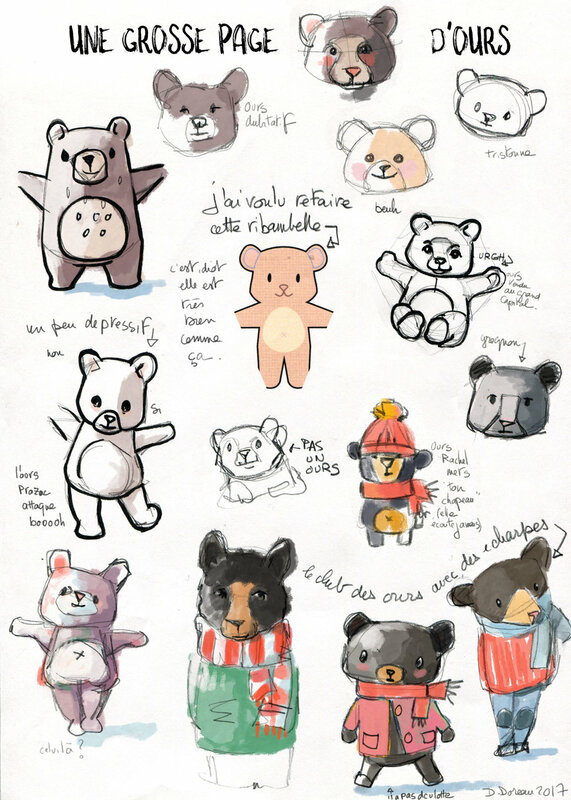 I spent a jolly long time this afternoon trying to design new bears I would fancy, only to realize that the first ones were just fine...here’s one of my pages so you can check the sketches (say that very fast? Deadly). 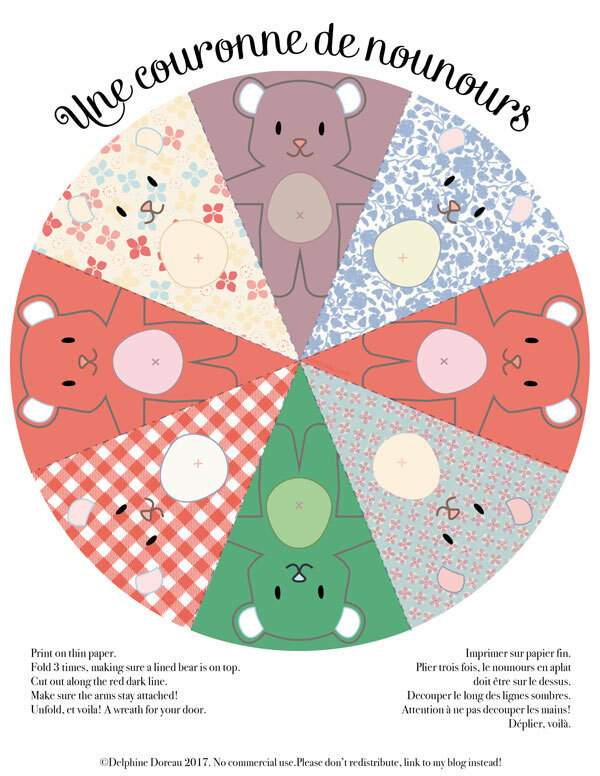 So l created a new colorway of the original design, with cute patterns and my 2017 winter palette. Click on the picture to download apdf printable, enjoy !